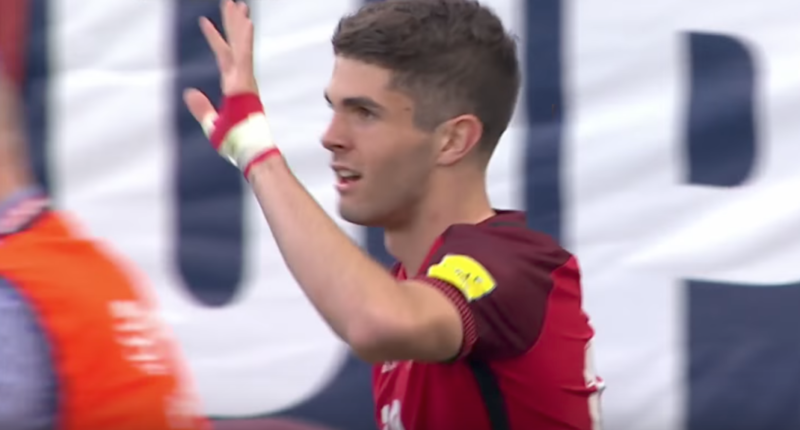 After saving face for the U.S. with a second-half equalizer in a friendly against Venezuela last week, Christian Pulisic again did all the scoring in a 2–0 World Cup qualifier win over Trinidad and Tobago. Though his performances have drawn even more sycophantic praise for the 18 year old, a closer look reveals how underserving he is of the lofty praise being heaped upon him. He only managed two goals against Trinidad and Tobago. Even Jozy Altidore scored a hat trick against T&T in a World Cup qualifier as a teenager. Clearly Pulisic is just a deluded man’s Altidore. He’s doing everything for the U.S. right now. Last eight #USMNT goals. Pulisic: 4 goals, 3 assists, all on Dempsey goals, fouled for free-kick goal by Dempsey on 8th. What happens if he gets hurt? They’re screwed, that’s what. They’re entirely dependent on Pulisic and he’s only 18. If this continues, he’s going to get used to doing it all himself and that’ll breed resentment in his teammates, especially if a player who is truly talented comes along. Also, why does he only set up goals for Clint Dempsey? Is there some kind of quid pro quo going on here? Did Dempsey agree to buy beer for the underage star and his friends whenever he sets him up for a goal? This needs to be investigated. Pele won his first World Cup at 17 years old. Pulisic won’t even PLAY in his first World Cup until he’s 19 years old. This fact speaks for itself. Damning. He makes EVERYONE look bad. What did he do after scoring two goals in a World Cup qualifier? 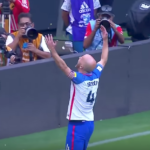 He went and hugged his mom in the stands, reminding every other parent in America that their kid isn’t making money in Europe as a professional athlete (instead of creating mountains of debt by going to college) and demonstrating their gratitude and affection on national television after scoring two goals in a World Cup qualifier. He doesn’t just make his teammates look bad, he makes everyone look bad. He’s probably Big Chocolate’s diabolical attempt to get kids to eat more candy. Pulisic is from Hershey, PA, which was founded along with the candy company of the same name by Milton Hershey in the early 1900s. Having a prominent athlete come from a town inextricably linked to chocolate gives impressionable children and misguided parents the idea that eating as many Hershey products as possible will bring similar athletic success to what Pulisic is achieving. In other words, promoting Christian Pulisic is akin to promoting childhood obesity. Inexcusable. He still hasn’t accepted my Facebook friend request. Who does he think he is?! With an ego that’s already this out of control, he’s going to sabotage his career sooner than later. There are many more reasons why Pulisic is a complete and total fraud, but it simply isn’t worth wasting anymore words on him. Now, since he is still so young, he could use these criticisms to drive him forward on a path of legitimate success (starting by accepting my friend request), instead of succumbing to the otherwise universal fawning praise being laid at his feet and flaming out like so many promising young footballers before him, but that’s entirely up to him. I have now done my part.